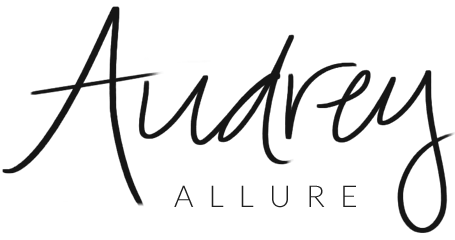 Audrey Allure: ZOYA Nail Polish Giveaway! You may have already heard of ZOYA nail polishes, as one of the best high-quality polishes used in professional salons and spas. They were one of the first to remove toxic ingredients such as toluene, camphor, formaldehyde and DBP (dibutyl phthalate) from its formulations. Well anyway, I'm offering to give away two shades from ZOYA's Smoke & Mirrors collections: Anja and Jem! Thanks to Verve 360 Pittsburgh salons for providing the prize! - Tweet: "I've just entered to win two ZOYA nailpolishes from @audreyallure 's giveaway!" This contest is open to continental US readers only - sorry international readers :( ; Ends January 31 at 11PM EST - I will select one winner randomly. Good luck!! Ooh, I love those colors! I'm a gfc follower, and I would wear those colors on my fingers for a night out with my hubby. shealennon (at) gmail (dot) com. The nail polish colors are so rich and deep, absolutely love them :) I could really see myself wearing them out swing dancing or even just to class. I love dark rich colors for everyday wear. I follow GFC and Twitter and would love to win! ur blog is so cool! im loving ur flavor!! I would use the nail-polish for Valentines because the color is very romantic for me! I follow you with blog lovin and GFC! I also follow your tumblr and twitter!! I would def rock one of these colors for valentines day! Purple is my fav color!!! Well...I just bought two shades and saw gem in a fall issue of vogue earlier today so I have to enter. I would wear these colours for everyday! I would wear these nailpolishes all day, everyday. Love them all! I'm following via bloglovin. Email: lizard22w (at) gmail (dot) com. What fun colors! I love all the purple hues. How gorgeous! You know I'm a GFC and Bloglovin' follower! I'd wear this for the weekend or a night function - these colors are so dark and chic! Yes and I'm a FB follower too! On my Bali trip in May! I am a big Zoya fan! Good luck to your lucky winner. I am following you through GFC and facebook! I'd wear it on a glam night with my friends!! Already following you on GFC and Twitter! :] Just thought I'd stop by and show some love. I definitely love the new layout/color scheme! Too cute. Oh and I'd totally wear this for a fun date night! The color is such a great shade. Gotta love the pretty colours! Boo on not living in Us though. Have a great week sweetie pops! Would totally wear these shades for a night out on the town! Id wear these shades when shopping. We love Zoya polishes and would wear these colors everyday! We follow you via GFC (Jayme & Mendi/Her Late Night Cravings) and on Twitter (@HerLateNightCra). I would definitely wear this polish on date night! Call me crazy -- I have never tried Zoya polishes! I know -- blasphemy. They have some gorgeous shades, though. And I tweeted about the giveaway. My email address is havebreakfastwithtiffany@yahoo.com. These are really stunning rich shades! What an exciting giveaway! I think these are the perfect shades for date night, especially in an ombre effect! These colors are gorgeous! I'd wear them all the time by themselves, or use them for some great nail art! i just ordered 2 Zoya polishes recently...can't wait to get them in the mail. These are colors I would wear all of the time! I'm really liking dark colors this winter and these look perfect! The color Jem is amazing! Too bad I live in Canada! That color is gorgeousss! Wow! that will be a very lucky winner. We don't have those here in Argentina, too bad!. Love those purple nail polish! everyday wear ;) maybe add in another shade to do the ombre nails or a glitter polish. Good luck to all the readers + participants that live in US!! Sadly I live 2 hours away from the US border, so close!! What a great giveaway, so jealous. I love these two polishes!! The Anja is dark and vampy I love it and would wear it on a night out with Jem as a stamped accent nail! I'd wear Anja anytime but I'm wear Jem for nights out and times when I want to feel bright. I would wear those colors on a night on the town. Great giveaway! !